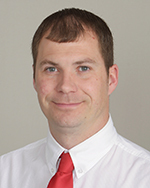 Hi, I'm Jared TeBockhorst, a Farm Bureau Financial Services agent in Fairfax, IA. I'm here to make insurance simple for you. I'm committed to helping you prepare for the future and protect what matters most. Let me help you through all stages of your life. Customer Service is the #1 priority in my office, when you need us we are here. We thank each and every client we get the pleasure of working with. My clients are my priority, Thank all of you that work with us. For your insurance needs, call (319) 846-2100. Click here to conncect with me on Facebook!